Located in the western Morocco on the coast, Casablanca is the most modern and the most polished city in the country. The city displays a magical blend of excellent architecture, history, culture and sophistication. Thousands of tourist come here every year to experience the energetic vibe of the city. Renting a car here is not expensive and a good way to discover the city and its surroundings. Casablanca, the commercial capital of Morocco, is one of the major destinations for tourists visiting this part of Africa. Thousands of people come here to spend their holidays in complete comfort. The city has much to offer tourists as they can see different historical monuments, famous buildings and sacred places here. With car rental services readily available, it is easy to make the most of every precious moment here. Casablanca represents both western modernity and Arabic traditions at the same time. Tourists can see huge mansions here as well as poorer areas. The city is heaven for business people as there are many opportunities for commercial ventures. Apart from this, this beautiful city is full of hotels and apartments, so accommodation is not a problem. The major attractions of the city include Casablanca Twin Centre, the cathedral Sacré-Coeur (Sacred Heart Cathedral), the Hammams, the Hassan II Mosque and many others. Place Mohammed V, which was formerly known as Place des Nations Allies, is the heart of this splendid city in real terms. Tourists can enjoy a good time here as this place is full of restaurants offering delicious food. Those who love shopping can find plenty of shops offering unique items. In addition, there is also a memorial to Sidi Belyout and other famous buildings. Old and new Medinas are also famous spots among the tourists, who love to visit historical places. Car hire gives plenty of opportunities to plan a schedule which is completely unique so that you miss out on nothing. This gorgeous city has something for everybody. The Casablanca Twin Centre is a place which was designed by the legendary architects Ricardo Bofill Levi and Elie Mouval of Spain in 1999. This twin tower complex is 115 metres tall and consists of a number of offices, shopping malls and a hotel. Alternatively, the Cathédrale Sacré-Coeur or Sacred Heart Cathedral is one of the most famous Christian places of worship in the city. It is situated on the edge of the largest park, Parc de la Ligue Arable, which is ideal for a picnic and getting away from the crowds. 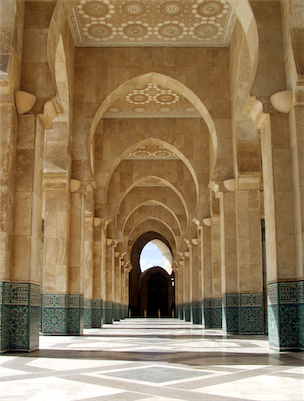 Hassan II Mosque is a grand mosque in the city that can easily accommodate 2,500 worshippers in its courtyard. Moreover, the Museum of Moroccan Judaism is ideal for history lovers. The Church of Notre Dame of Lourdes is the other famous must-see venue of this beautiful Moroccan city. In a nutshell, the tourists can have a great experience in this city and Casablanca car rental services have been designed to be flexible so you can travel in comfort and style. Some car rental companies have an office or desk in the arrival terminal of Casablanca which is indicated as On Airport. If the car rental company does not have an office or desk at the arrival terminal it is Off Airport, which means that most of the time the car rental supplier provides a free shuttle bus from the airport to the car rental desk. When traveling to Casablanca we advise to carry some Moroccan Dirham MAD to avoid any unwanted surprises. At Casablanca Airport there are Money Exchange offices in order to change your local currency. The local time code for Casablanca is WET. When traveling to Casablanca make sure to check the local weather conditions in order to avoid any unpleasant surprises. Rentalcargroup.com offers car rental in more than 35000 locations, at all major airports and cities and railway stations. Below on this page you see a map with all the car rental companies we work with in Casablanca Airport. Old Medina is located next to the most important market square. It is a nice place to walk through the narrow alleys with shops and cafes. Park of the Arabic League is a quiet place and there you can visit a catholic church the Cathedrale Du Sacre Coeur. The Hassan II Mosque is the largest Mosque of Casablanca it fits 25000 people. Last month, the average car rental length at Casablanca Airport was 9 days. The average rental car length at Casablanca Airport is 8 days. The most booked rental car type currently at Casablanca Airport is MINI cars. Last year, the most booked rental car type at Casablanca Airport were ECONOMY cars. How much does it cost to rent a car at Casablanca Airport? Last month, the average car rental price was 270 USD. Last year, how much did it cost to rent a car at Casablanca Airport? Last year, the average car rental price was 262 USD. What is the current average daily price to rent a at Casablanca Airport? Last month, the average rental price was 31 USD per day. How much did it cost to rent a car at Casablanca Airport over the past 12 months? Last Year, the average rental price was 33 USD per day. The car rental companies available at Casablanca Airport are: surprice, Green Motion, Interrent, Locationauto, First car, Budget, AirCar, Payless. See below last 5 customer reviews. Our customers rated Casablanca Car Rental with an average of 9.50 based on 4 ratings. The car reservation experience was great, however the representatives at the casablanca airport were only moderately helpful. i would suggest renting with another group besides thrifty in the future. 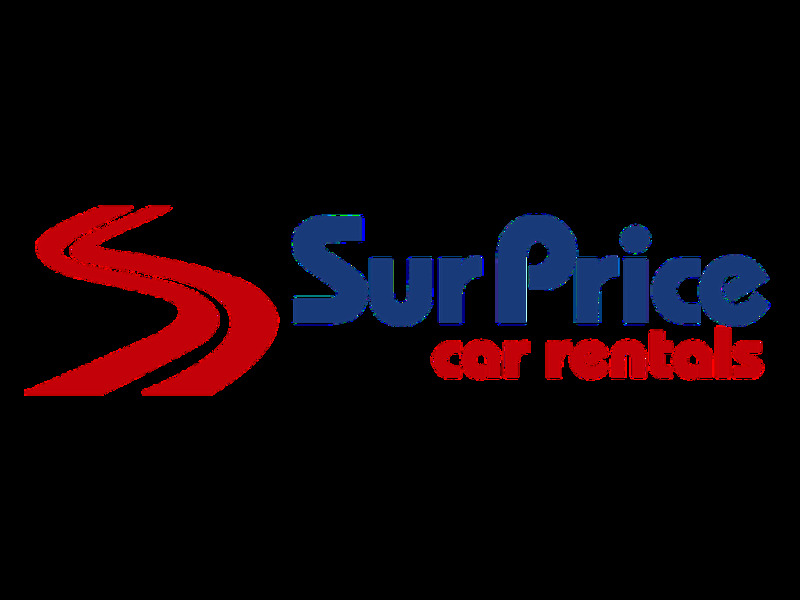 Absoluut great service and very good and clean cars. Hi,rnrni had a good experience with the rental company. i had a bit of trouble communicating in french or english, the rental person had broken french mostly arabic...otherwise, great car, great mileage, comfortable for a young person, couple, golfer, traveller.